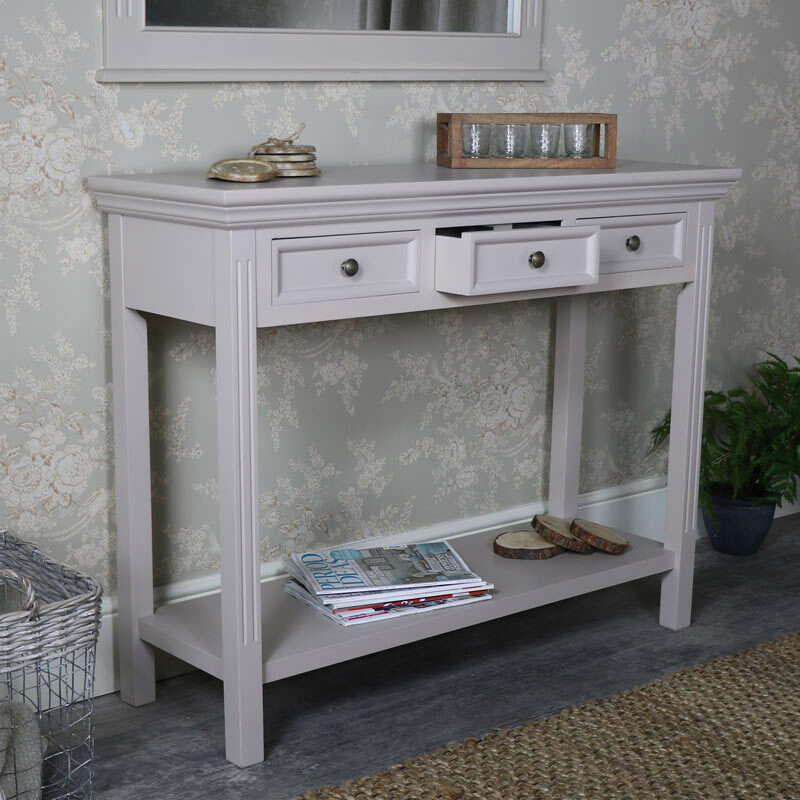 This large sideboard/console table is part of our ever popular Daventry Taupe-Grey Range. In a classic Georgian style, this would make a great addition to your home. Featuring strong straight lines that help to create a classically elegant look. 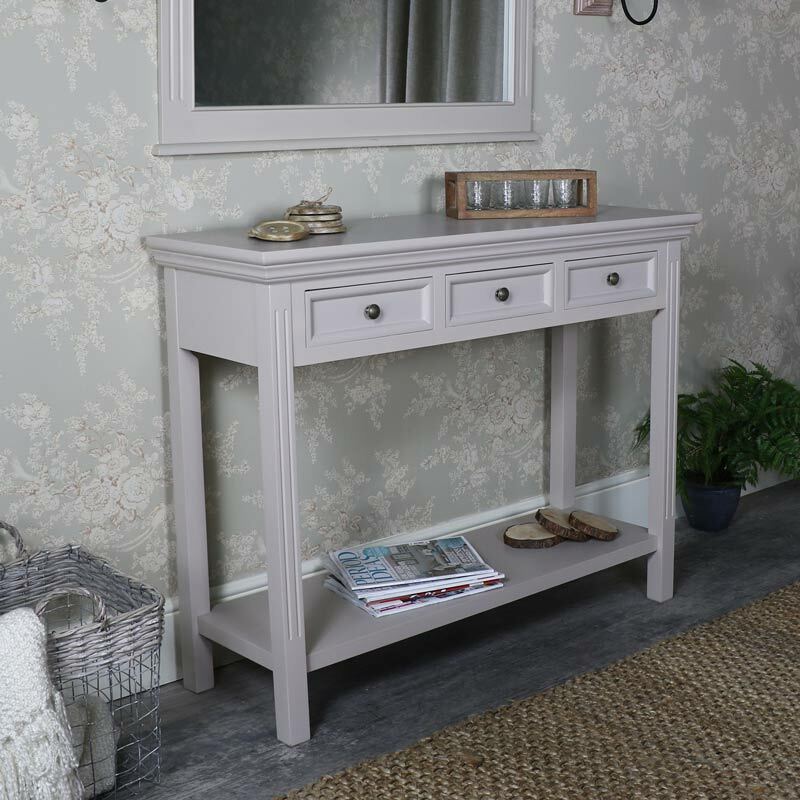 Hand painted and hand finished in a taupe grey colour, this sideboard offers ample storage with a large surface space, 3 drawers and shelf underneath. With round brass drawers knobs on each of the drawer fronts that complements the vintage style. Perfect for placing in a large hallway, entrance way or in the living room or kitchen. The top gives you a place to display ornaments or displays with the drawers offering a great place to store all manner of knick-knacks within easy reach. Made from wood and painted in a taupe-grey colour. The sideboard does require assembly with the legs and shelf to attach to the top. 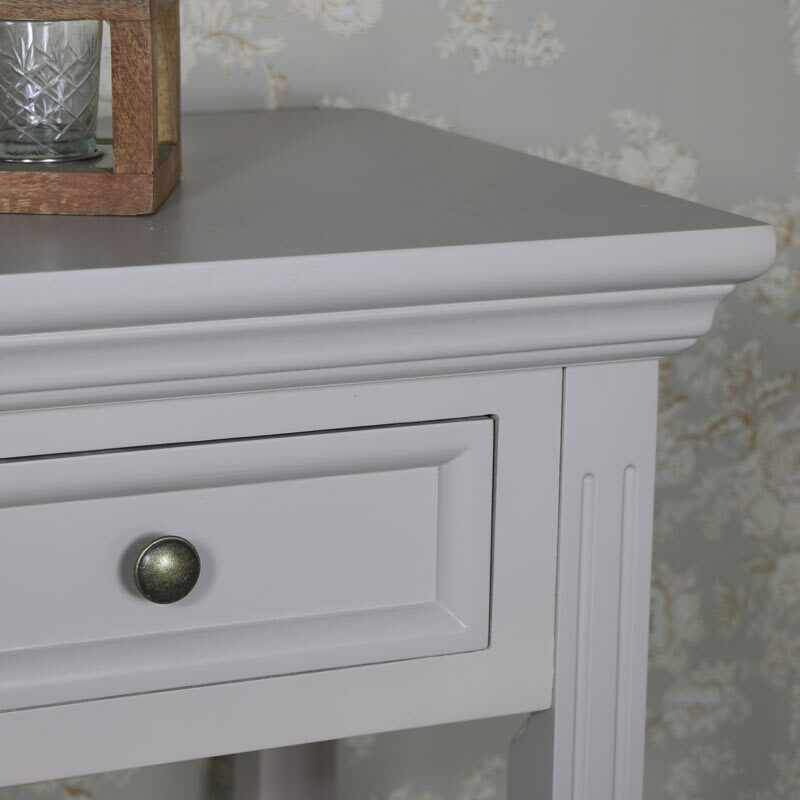 Featuring a broad selection of furniture in our Daventry Taupe-Grey Range, we can help you to create the perfect look for your bedroom, living room and hallway.